Santee City Council, incorporated in 1980, will reportedly have its first Hindu invocation on September 25, containing verses from world’s oldest existing scripture. Hindu statesman Rajan Zed will deliver the prayer from ancient Sanskrit scriptures before the City Council. After Sanskrit delivery, he then will read the English translation of the prayer. Sanskrit is considered a sacred language in Hinduism and root language of Indo-European languages. September 25, 2013 (Washington D.C.) – A spending bill passed by the House has drawn fire over its efforts to eliminate funds for healthcare reforms. But a less well publicized clause could also pose risks to human health by banning federal courts from stopping sale of genetically modified seeds, preventinglawsuits even if their products cause harmful health effects or harm small farmers, such as by contaminating organic foods. The law has been dubbed the “Monsanto Protection Act” by consumer groups and a petition has been launched asking the Senate to eliminate the special interest language protecting the biotech industry at the expense of consumers and small farmers. September 24, 2013 (Alpine) –The San Diego Sheriff’s office today announced the arrests of three men suspected of killing 20-year-old Daniel Rodriguez. On October 13, 2005, Rodriguez was found under a bridge at Interstate 8 and Tavern Road in Alpine. He had been shot in the head and died three days later. On September 19, 2013 a coalition of law enforcement agencies including the Sheriff's Homicide Detail – Cold Case Unit, the East County Gang Task Force, the Chula Vista Police Department, the National City Police Department, and the FBI arrested three suspects for the murder of Rodriguez. Jose Valdez, 30, John Reyna, 30, and Rashad Lansing , 32, were each booked for murder and conspiracy. It has been said that the opera isn’t over until the fat lady sings. Those who had hoped El Cajon’s East County Performing Arts Center would be open by December may have a bit more waiting to do until the proverbial fat lady sings. 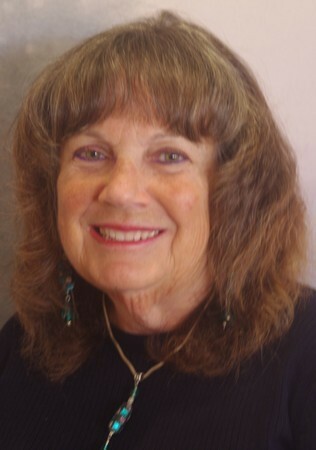 While El Cajon City Councilman Gary Kendrick had set a target date of December 1, 2013 for the much anticipated reopening of the theater which has been shuttered for nearly three years, it may be at least another year until the curtain opens and the stage lights come on. September 24, 2013 (Sacramento) – Under a court order to reduce California’s prison population by 9,600 prisoner’s at year’s end to relieve overcrowding or face contempt of court charges, Governor Jerry Brown has signed into law Senate Bill 105. The bill provides that Brown will ask a panel of judges to delay the order to allow the state time to expand rehabilitation programs to reduce the prison population, including mental health and substance abuse treatment. But if that request is rejected, SB 105 will shift thousands of inmates to county jails and to private, out-of-state prisons. September 24, 2013 (Sacramento) – Governor Jerry Brown has signed into law AB 1371, which requires drivers of motor vehicles to allow at least three feet when passing a bicycle on a highway traveling in the same direction, under most circumstances. An exception is made if a driver is unable to allow three feet due to traffic or roadway conditions, such as a very narrow road, bad weather, poor visibility, or road surface conditions. In such cases, the driver must slow down to a speed that is “reasonable and prudent” and may pass only when doing so would not endanger the safety of the bicyclist. September 24, 2013 (Santa Ysabel) – Inaja. I always stop at the site when I drive through Santa Ysabel. I'll buy some bread and a sandwich at Dudley's and take in the view and watch the cars and motorcycles speeding by on Highway 79. The Inaja Memorial Picnic Site is a picnic/day use area operated by the USFS to honor eleven men who died while fighting a fire on November 25, 1956. September 23, 2013 (Poway) – The Tournament of the Phoenix returns to the Poway Rodeo Grounds, 14336 Tierra Bonita Road, Poway on October 18. Knights in shining armor astride gorgeously caparisoned chargers, the crack of shattered lances, the flash of swords, live music and food will fill the weekend. September 23, 2013 (Alpine) – The Alpine Stagecoach Lions present the Alpine Viejas Western Days Parade and Craft Fair on September 29. The parade will begin at Albertsons at 2 p.m. and continue down Alpine Blvd. to Alpine Creek Town Center where the craft fair and car show will be held. Visit www.alpinedaysparade.com for more information. September 23, 2013 (Descanso) – The 23rd Annual Mountain Bike Benefit Ride is October 6 beginning at 8 a.m. at Los Vaqueros Group Camp at Cuyamaca Rancho State Park, Hwy 79. The event is a fundraiser for the Cuyamaca Rancho State Park Interpretive Association which assists the State Park with trail building, maintenance and interpretive projects to benefit the public. Sept. 23, 2013 (Spring Valley) – The Mulvaney family is sponsoring the 3rd Annual Jim Mulvaney’s Concert on the Green to benefit Noah Homes Inc. on October 5, from 3 p.m. to 7 p.m. at 12526 Campo Road, Spring Valley. The concert will feature the Irish music of The Tim Foley Band. (originally published September 6, 2013 at the Valley Center Press). While being clueless isn’t a prerequisite for earning an MBA, it’s a good start. I had my introduction to the global economy during the first week in December of 2012 when a new owner purchased The Roadrunner after it had been owned and operated by Dale & Shirley Good for nearly 20 years. Before that it had been owned by a consortium of five owners after being founded in 1974 by Van Quackenbush, who brought me on board in 1984. I edited the publication for about 27 years. September 22, 2013 (San Diego’s East County) – The Sierra Club invites the public to a benefit to raise funds for rebuilding a cabin lost in the Chariot Fire on July , and to celebrate the fact that the historic Foster Lodge survived the wildfire on Mount Laguna. While there was insurance coverage, the Chapter needs to raise funds to offset a $10,000 deductible and other costs not covered to get the lodge reopened for business. The Black Book: Lessons from American History – Abraham Lincoln to Modern China, by Senator Adlai E. Stevenson, III (The Stevenson Family, 2009, 299 pages). September 22, 2013 (San Diego’s East County)-- The Black Book: Lessons from American History – Abraham Lincoln to Modern China is a guide-- a road map for future politicians authored by Adlai E. Stevenson III. He laments changes in the electoral process and the loss of civility in politics, also speaking of opportunities in politics being limited by money and a media which restricts comments to one or two minutes while focusing on the game, the trivial and the sensational. The book began as a brown loose-leaf binder in which the author ‘s great-grandfather, Adlai E. Stevenson (1835-1914), collected anecdotes and maxims, stories and sayings during his life as a county prosecutor, congressman, assistant postmaster general and U.S. vice president under Grover Cleveland. His grandson, known to friends and family as “the Guv,” expanded the collection in a large black binder during his life as an official in the Roosevelt and Truman administrations, governor of Illinois, Democratic presidential candidate in 1952 and 1956, and U.S. Ambassador to the United Nations in the Kennedy and Johnson administrations. Heartland Fire & Rescue responded to reports of a person trapped in a hole in the 8000 block of Morocco Dr. in La Mesa Friday morning. The resident, a 71 year old man, was digging a drainage line about four feet deep when a small boulder came loose and fell on top of him into his lap, pinning him inside the hole. September 21, 2013 (Lemon Grove) The City of Lemon Grove and Lemon Grove Historical Society invites the public to a Grand Opening Party on the Main Street Promenade on Friday evening, Sept. 27 from 4:00 p.m. to 6:30 p.m. This hometown event celebrates the completion of the Pioneer Modernism Park at the Main Street Promenade and the welcomes Lemon Grove’s newest neighbors from Citronica One, the brand new colorful and modernistic residential and business structure recently completed near Highway 94 and the Lemon Grove Trolley Station. “Yesterday, Today & Tomorrow” is the name chosen for the Pioneer Modernism Park, as it evokes Lemon Grove’s history. Visitors can view the new wonderful installations at the park, such as the wind spire, tractor slide, mosaics, charming seats, and windmill. Visitors are encouraged to bring the children, friends and colleagues to enjoy dancers, singers, jugglers, and magicians; to play in contests of hula hoop, jump rope, bubble blowing and whistling; and to enjoy free cookies and lemonade, and much more. September 19, 2013 (San Diego) – After filing papers to run for Mayor, former Democratic Assemblywoman Lori Saldaña yesterday announced she will not run and instead has endorsed Councilman David Alvarez. “David has a strong record of supporting neighborhoods and protecting the environment,” said Saldaña, who believes he is the best choice because of his “commitment to standing up for our communities.” Alvarez represents South San Diego and the Barrio Logan area. Alvarez has also been endorsed by the Sa n Diego-Imperial Counties Labor Council. Today, former Councilmember Donna Frye also endorsed Alvarez, stating, "David understands that people deserve to be treated with courtesy and respect and be provided an opportunity to have their issues heard in public, before (not after) decisions are made." The first mayoral debate among prominent candidates is set for 3:15 Friday at the Westin Gaslamp Quarter Hotel, sponsored by the Asian Business Association. Democrat Nathan Fletcher, a former Republican, declined to participate. However Democrats Alvarez and Mike Aguirre, the former city attorney, will participate along with Republican Councilman Kevin Faulconer. November 19, 2013 (Washington D.C.) -- Republicans in Congress are threatening to shut down the government if they don’t get what they want – the Affordable Care Act, or "Obamacare", defunded. The House of Representatives will vote Friday on a bill to fund the government beyond the Sept. 30 budget deadline, but the bill would completely defund the Affordable Care Act, also known as Obamacare. The City of Lemon Grove seeks to fill a vacancy on its planning commission. Interested residents are encouraged to apply before the October 3rd deadline. Applications are available at Lemon Grove’s City Hall or on the City’s website. September 19, 2013 (Julian) --For the 44th year, Julian celebrates the end of summer with music. The Julian Music Festival will be held September 21 from 1 to 8 p.m. at the Menghini Winery, 1150 Julian Orchards Road, two miles west of town on Farmers Road (which starts as Main street in Julian). This year the festivals offers a variety of music. Bluegrass celebrates the roots of this festival, Western ballads evoke tthe past and current songwriter/singers reflect the tunes heard today on MP3 players. September 19, 2013 (San Diego) -- My mom used to complain how difficult it was to make friends at her retirement home. Then one day, she stepped into the elevator and said hello to someone she had unsuccessfully been trying to befriend. The woman glared at her and left the elevator without even saying good-bye. “See what I mean?” Mom said to me. I suggested, between giggles, that next time, she tell the woman how great she looked. It is clear that San Diego would prefer the project to go to Santee. One key reason is fire response, which San Diego Fire Department cannot do in a timely manner, due to the location of the nearest fire stations and how busy Santee roads can be at rush hour. With annexation, Santee will have jurisdiction to dispatch fire engines and other emergency services. September 20, 2013 (San Diego) -- Over 100 San Diegans will gather outside the Federal Building downtown on Saturday to call on President Obama to reject a permit for the Keystone XL Pipeline, which would carry tar sands oil from Canada to Texas for refining and export. San Diego’s event is one of roughly two hundred “Draw the Line” events planned around the country, part of a nationwide day of action sponsored by 350.org and other climate action groups. President Obama has said he would approve completion of the 1,700-mile pipeline from Alberta to Gulf Coast refineries only if it would not “significantly exacerbate” carbon pollution, adding that the pipeline’s net effects on the climate would be “absolutely critical” to his decision. 350.org contends that the pipeline would increase pollution by the equivalent of adding 9 million cars to the highways, also creating water pollution and other problems. September 18, 2013 (La Mesa) – The East County Magazine, distributed by the Heartland Coalition, has been named a media sponsor for the 12th annual Kids Care Fest, a free, family-oriented, community health fair event with free health care screenings for children. 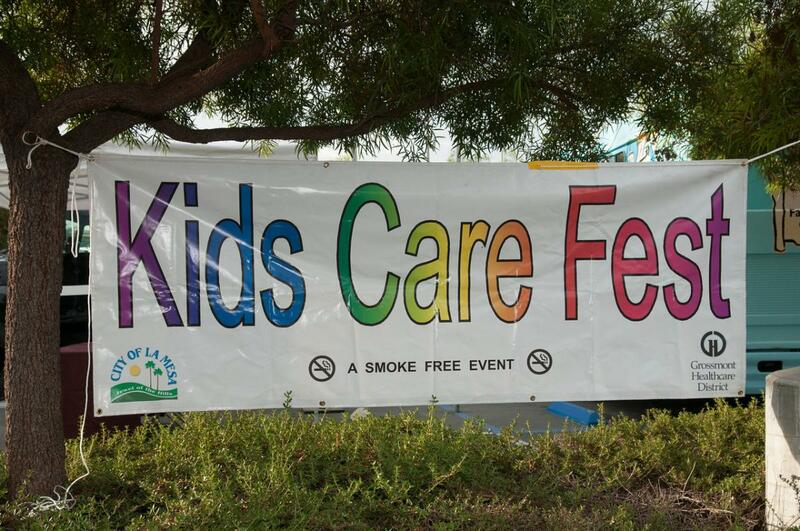 Kids Care Fest will be held from 9 a.m. to 2 p.m. on Saturday, Sept. 21 at Briercrest Park, 90001 Wakarusa St., La Mesa. September 18, 2013 (San Diego ) – On September 26, the Green Experts Academy presents a panel focused on green jobs, the clean tech sector development, renewable energy, climate mitigation, solar and the vision for America’s Finest Green City. Participants include mayoral candidates David Alvarez, Nicole Capretz, Office of Interim Mayor Todd Gloria, Deanna Sphen, Office of Assembly Majority Leader Toni Atkins, and other green experts.